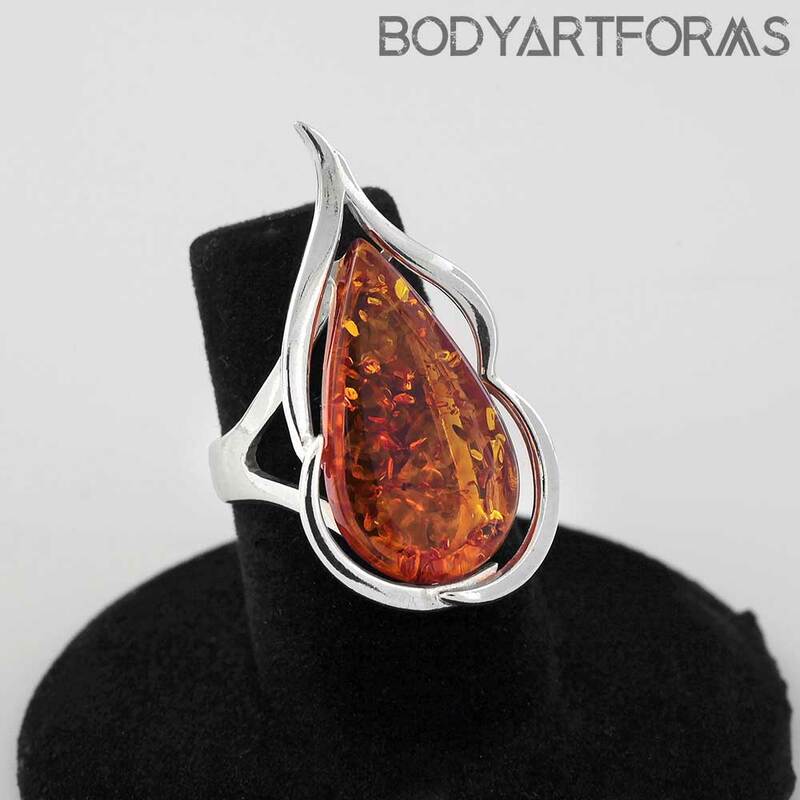 With its flame-like setting and beautiful amber cabochon, this ring resembles the warm glow of a burning fire. This ring adjustable, but will be best suited for sizes 5 - 7. You will receive the exact ring photographed.